Telemedicine. You know the term. You’ve heard the buzz, you’ve marveled at its potential, and now you marvel at how it brings you the stroke services of a neurologist that is 100 miles away. A unique confluence of events, timing and technologies are making the successful implementation of telemedicine solutions more of a reality than ever before. 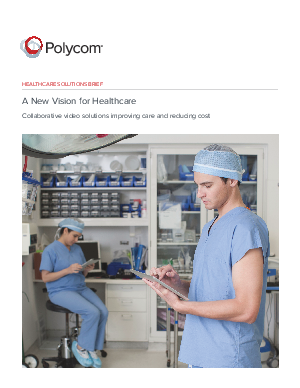 But telemedicine is just part of a much bigger picture—one that literally involves a bigger picture—collaborative healthcare solutions from Polycom. Some pretty amazing things are happening in the world of collaborative healthcare today. The advent of easy to use, high definition, truly interactive video is bringing doctor and patient closer together in ways only previously imagined.